Click on any of the blue links below to view that plan in detail…..
Training plans can be found in books, online, or personally designed. Pre-designed plans can be used “as is” or modified as necessary. If choosing to design your own plan, download my worksheet and follow my simple steps. 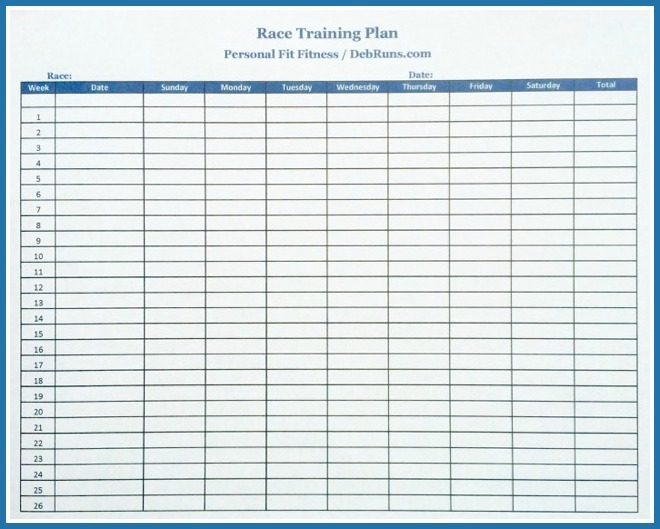 Worksheet PDF link: DebRunsRaceTrainingPlanWorksheet.